We are happy to help you determine whether the Illinois domiciled mover of your choice is licensed and what kind of complaint history is on record with regulatory agencies. 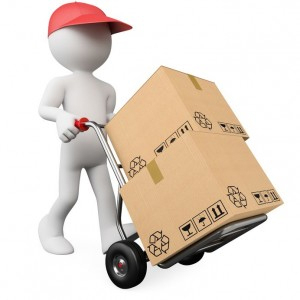 Our "resources" page can help you investigate movers both within and outside Illinois, and you're always welcome to call us for assistance and referrals to reputable movers. Whatever you do, be wary of choosing a mover over the internet ... ESPECIALLY one who shows only a toll-free phone number on the site, but no address. Choose a mover whose business is physically located in your community (or the community to which you are moving), and make sure what you're really "buying" before you let them load the truck. Check them out!! Good movers don't hide details (nor do they hide their own business address), and they don't make promises that sound too good to be true. Make your hiring decision ONLY AFTER you have checked ALL of the mover's credentials, no matter where you received the referral. Regulatory agencies provide the most reliable information on licensing and complaint history. We are happy to help you sort out the details. Our association's mover members range in size from a one-truck family business to the national headquarters for several national van lines. Our membership standards and code of ethics help distinguish our members from those movers who don't share our association's values. Licensed household goods movers provide transportation services within Illinois for more than 144,000 shipments per year. According to the latest statistics, legitimate licensed movers doing business in Illinois employ 12,000 people, generate $1.6 billion in for-hire transportation revenue, and travel 264 million miles a year. Fifty-eight percent of the legitimate licensed movers in Illinois also offer full-service storage in licensed and inspected warehouses. Among our member services, IMAWA provides continuing education workshops, a college scholarship program, annual convention, newsletters, mass purchase programs, legislative representation, and member insurance programs. Many of our members are involved in their community with such charitable organizations as Special Olympics Illinois and Move For Hunger.